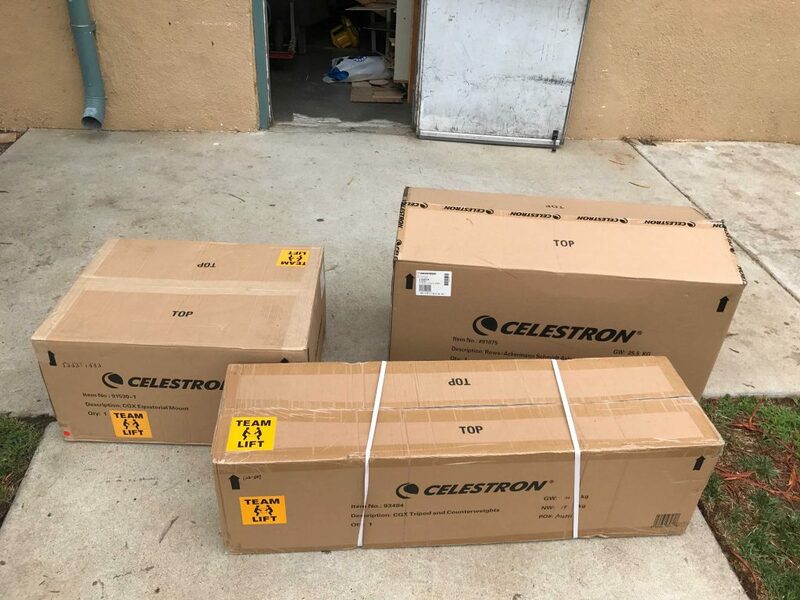 Blue Dot Education has recently acquired a Celestron 11 in. RASA Schmidt Astrograph Telescope. The telescope has an aperture of 11 in., and the focal length of f/2.2. This telescope possesses a lot of power specifically for astrophotography. 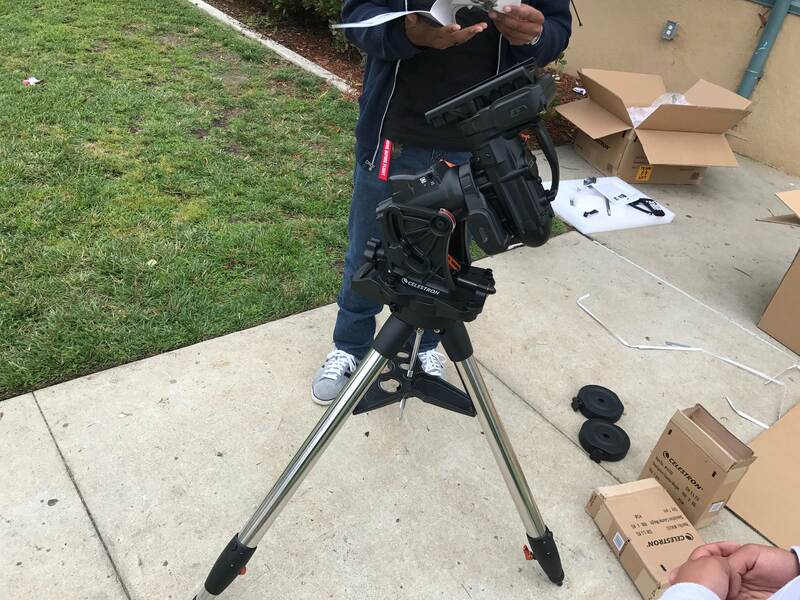 The telescope is meant solely for the purpose of astrophotography and does not have an eyepiece to view through the scope, but only an attachment to place a DSLR camera. Basically the telescope acts as a over sized telephoto lense for a DSLR camera such as the Canon 6D. 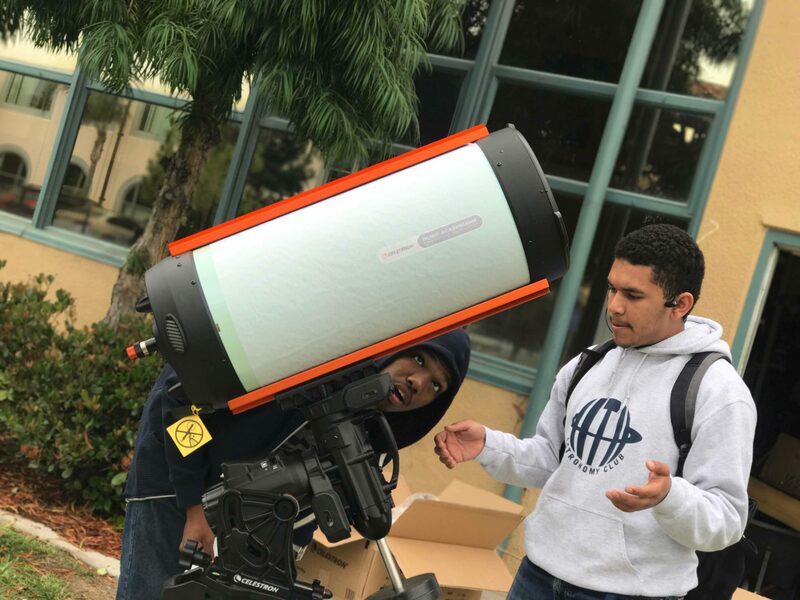 This telescope will enhance Blue Dot Education’s, astrophotography program by giving students the the best technology to take incredible images of deep space. 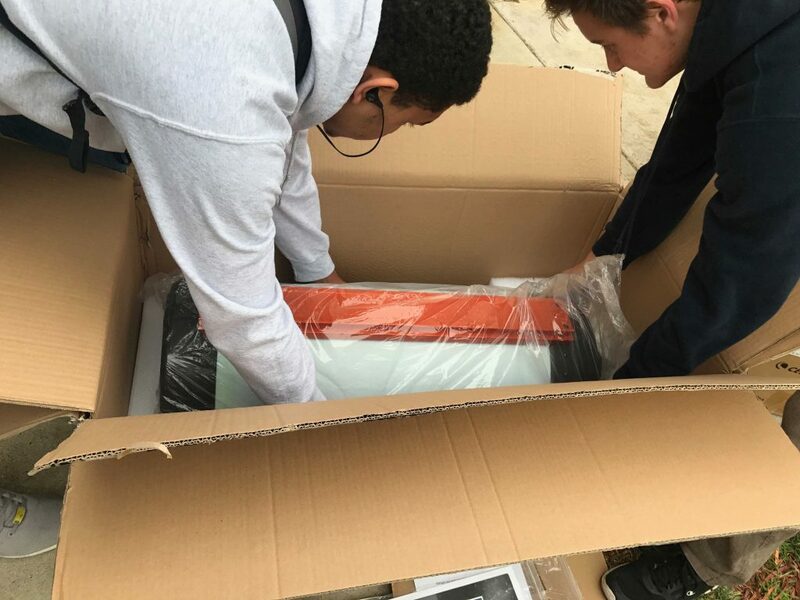 With this new telescope students will be able to expand their knowledge of nebulae, galaxies and star clusters by capturing these high quality images. When students take and process photography they will have a deeper understanding of objects in outer space and learn about space science. With this telescope, we are closer to achieving our ongoing goal of spreading the knowledge and passion of space science to students. 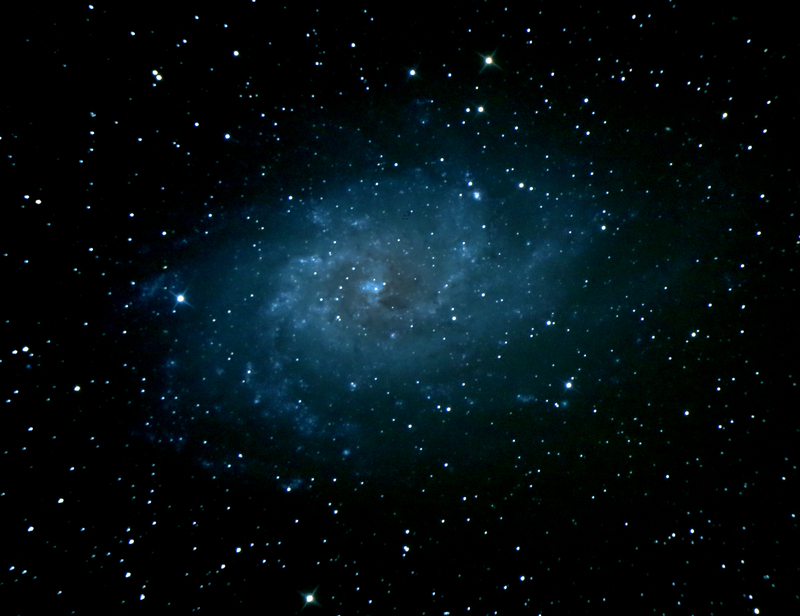 Triangulum Galaxy, or M33, is in the “Local” group of galaxies. This group includes the Milky Way and Andromeda. Triangulum Galaxy is the smallest of the group, but it is 50,000 light-years across (half the diameter of the Milky Way), which is not “small” in any respect! Triangulum Galaxy is 3 million light-years away from us which is relatively nearby compared to other galaxies. Interestingly, Andromeda is very close to the Triangulum Galaxy, at approximately 2.5 million light-years away. Like Andromeda, some say it can be seen with the naked eye, however, the sky must be very dark. This photo was taken in Culp Valley, CA, during an astrophotography trip last semester. During this time, M33 was in the perfect spot in the sky for a photo! The camera, a Canon, was placed in the telescope’s eyepiece and a series of multiple exposures were captured. When we returned from the trip, I developed the image using a program called Deep Sky Stacker. The purpose of developing the photo was to bring out the beautiful colors and swirls hidden in the galaxy. When a photo is taken in the field, with no effects, it usually comes out a bit colorless and needs to be enhanced. The process of developing the image took a while because the program needs to use a combination of all-white images, all-black images, and faint images of the galaxy. This is to layer the photos and add more depth. It took me a long time to sort through the different exposures, but when they were imported into Deep Sky Stacker the result was incredible! I felt like I had a little piece of space in my computer screen! 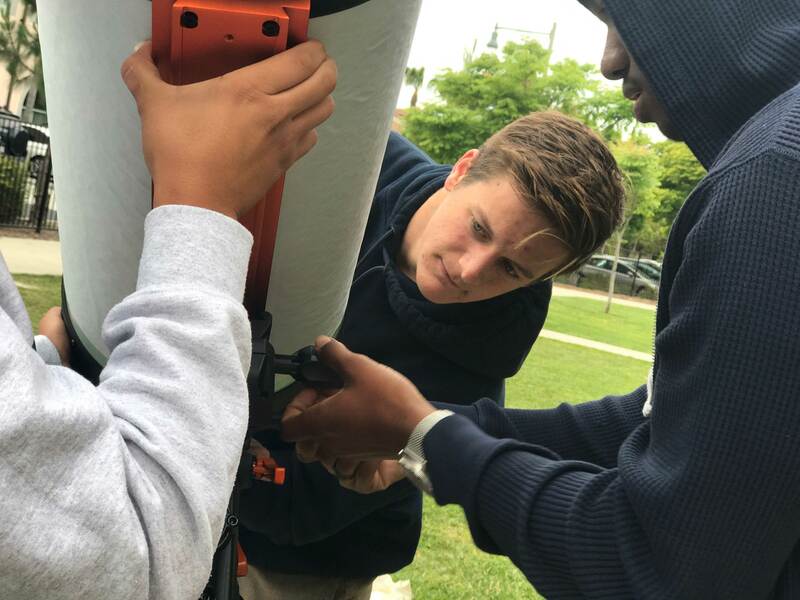 The video below shows the first two attempts to send a weather balloon by students at High Tech High School in San Diego, California. The project’s inspiration came from Brian Delgado, a freshman physics teacher who wondered what a space program at a school might look like. 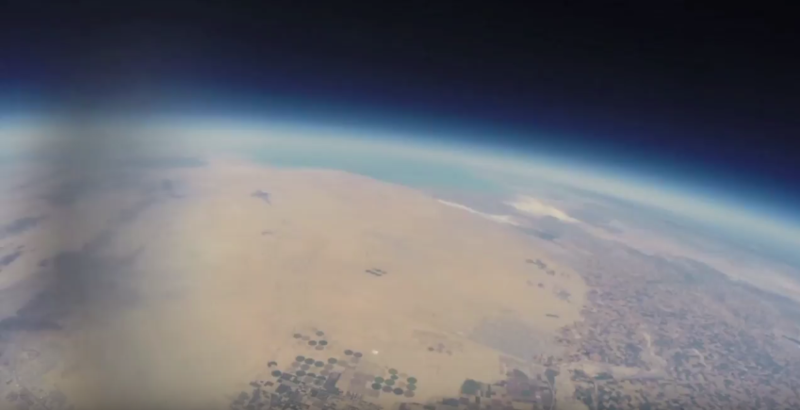 He explained to his students that he had heard about how people were sending packages up into the stratosphere, and taking pictures of the earth’s curvature. He wanted to bring that into the classroom for his students to experience it together. The students were fully enthusiastic about the idea, and worked extremely hard throughout the semester, while also learning space science. Although the first balloon that was launched failed (The line snapped), the students persevered and launched another one that succeeded. When they recovered the footage, and watched it back, they were amazed to see something they built went to space. Students now strive to improve the launches by adding new experiments, new equipment, and new launch points. The program has grown immensely since 2014, with 12 launches in the past 3 years.